We all wish to have luscious and healthy hair. 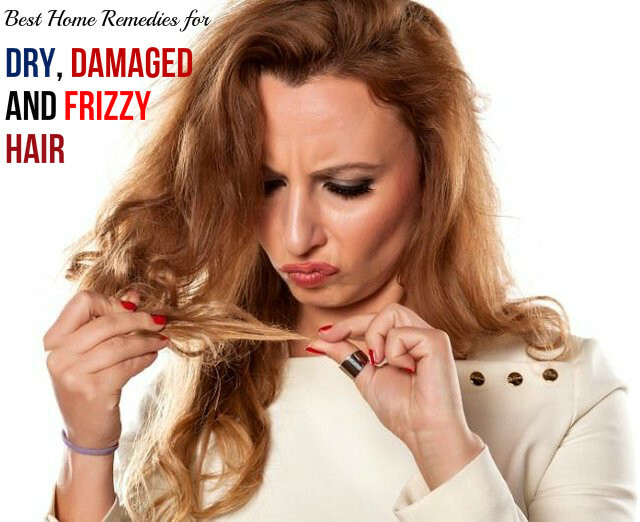 But many of us have dull, dry and frizzy hair. Even if you are born with healthy and lustrous hair, your hair is exposed to so many external factors that your hair tends to become dull and dry. So, it is important that you take proper care of your hair and prevent it from dryness. There are so many ingredients in your kitchen that you can use to treat dry hair. They are natural and do not cause any damage to your hair. Take a bowl and mix all the ingredients in it till you get a consistent mixture. Now part your hair into sections and apply the hair mask well, from the roots to the tips of hair. Leave it on your hair for about 30 minutes and then you can wash it off with lukewarm water and shampoo. Combine both the ingredients in a jug and keep it. Use the diluted ACV as the last rinse. Beer is known for its conditioning properties. It can make your dull and dry hair healthy, voluminous and shiny. You need ½ cup of beer and 2 cups of water for this treatment. Mix beer with 2 cups of water and keep it aside. Shampoo and condition your hair and then use the diluted beer as the last rinse. Pour it through your hair. Do not wash your hair. Let your hair dry naturally. Using this rinse once a week can keep your hair conditioned and healthy. For this you need 2 egg yolks. Take the two egg yolks and add 3 tablespoons of water to it. Beat until it is fluffy. Apply it all over your hair and leave it for 30 minutes. Now wash it off with cool water. Take all the oils in a bowl, combine, and heat for a few seconds till it is warm. Massage this oil blend on your scalp and work it through your hair from the roots to the tips. Focus on the tips of your hair as these are the most damaged parts of your hair. Wait for at least 30 minutes. You can also leave it overnight. You can wash your hair with a mild shampoo. Take a medium sized bowl and beat the 2 eggs in it. Add the honey and yogurt and mix well to get a smooth and creamy paste. Apply this on your hair and wait for 20 minutes or more. Mix all the ingredients in a bowl, making sure that there are no lumps. Put your hair up in a bun and let the mask remain on your hair for 15 to 20 minutes. Take all the oils in a medium sized pot and mix them well. Now warm it. Make sure that it is lukewarm. Massage your hair with this oil mixture and wrap your hair in a towel. Wait for 30 minutes and then wash it off with mild shampoo. Mix two tablespoons of honey with two tablespoons of vegetable oil so that you get a sticky paste. Apply this on your hair and warp your hair with a plastic shower cap. Wait for 15 minutes and then you can wash it off with shampoo and water. Mix the two ingredients in a bowl to get a consistent mixture. Apply this mixture on your hair, from the roots of hair to the tips. Pay more attention on the tips as they are the driest parts of your hair. Wait for about 20 minutes and then rinse your hair with shampoo. Mayonnaise is great for conditioning your hair and making it smooth, soft and manageable. It is very effective for dry and damaged hair. Whip the mayonnaise in a bowl till it is a little fluffy. Wet you hair and then apply it on your hair from the root to the tip, focussing more on the damaged parts of your hair. Now cover your hair with a shower cap and wait for 30 minutes. Rinse your hair with cold water and shampoo. You need 1 tbsp of vinegar for this. Use a conditioning hair pack and rinse it out with water. Now take a bowl and dilute your shampoo and vinegar. Use this to wash your hair.